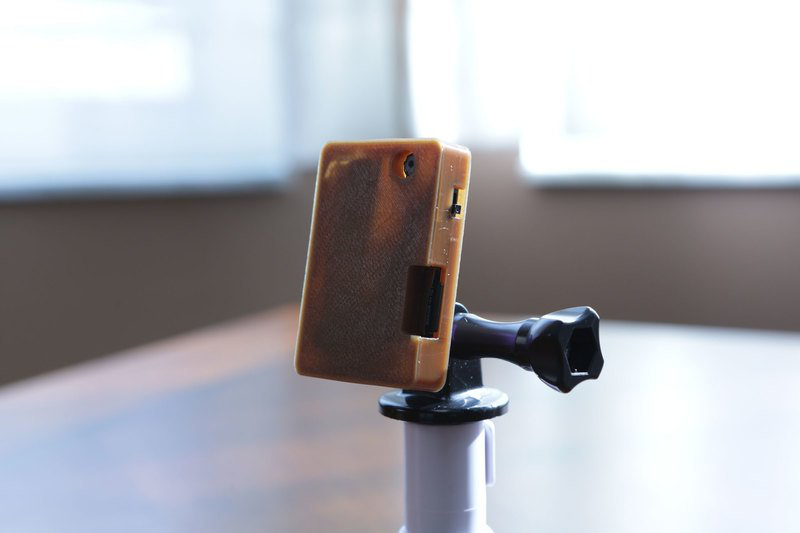 Portable Mini Timelapse Camera #3DPrinting #celebratephotography « Adafruit Industries – Makers, hackers, artists, designers and engineers! For this week’s project, I built a portable mini camera and In this guide, I’ll show you I how I built it. I think this is great for anyone looking to build a DIY project with a low cost camera. I’m using this to create time lapse videos but you could use it for all sorts of photo based projects. The mini spy camera module has an integrated driver and is really easy to use without an Arduino or Raspberry Pi. The camera sensor can take 1280×960 photos and captures video at 480p. it’s not an HD camera but it’s pretty decent for small projects. The module uses a microSD card to store data and it has a maximum support of 32GB.